Editor's note: Gene Krebiehl, VE7KB, passed away on January 5, 2017, in Kelowna, B.C. Our deepest sympathies are with Gene's wife, Herta, the Krehbiel family, and all those who knew Gene. 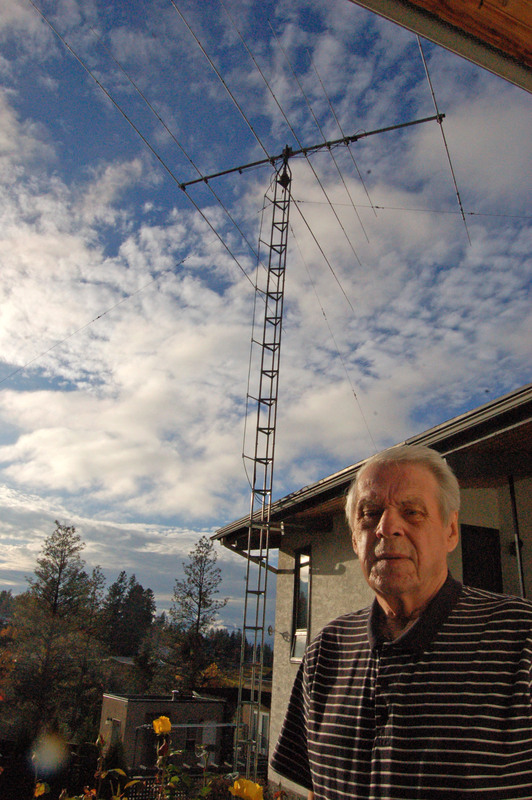 In 2010, shortly after the founding of the Orca DX and Contest Club, Gene provided the following amateur radio biography, which we are proud to feature on our website. I was born in Freiburg, West Germany (the Black Forest area) and was bitten by the radio bug when I was 10 building crystal radios. A few years later, I took my apprenticeship as a radio technician. 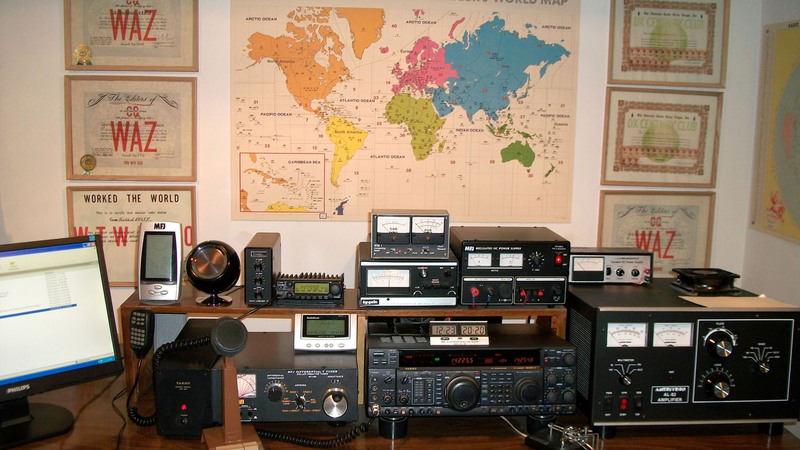 My boss was a licensed ham but at that time -- after the war -- ham radio was not allowed in Germany. That didn't stop us: my boss and myself build two crystal-controlled 40-meter transmitters and receivers. I used to go home for lunch and we talked on 40 meters every day -- that is, every day for about two weeks. One day when I came back to the shop I saw a truck with a loop antenna parked outside. It was from German Post Office Communication Dept. They took the transmitter and receiver, and then promptly went to my house and took them, too. And, of course, left us with a warning. That was my last time on the air from Germany. In 1952, we emigrated to Canada. With my first paycheque, I bought a Hallicrafter SX-99 receiver, and after that I was determined to get my license. I started reading road signs in CW, and got my license a few month later with the callsign VE6TP in Edmonton. Chuck VE6NX became my mentor. He was on the ARRL DXCC honor roll at that time, and showed me the ins and outs of working DX. He became a SK in 1987. I started working for Sacker Electrons wholesale (owned by Ted Sacker VE6BW). After Ted sold the business, I started my own as Audio-Com Electronics. I sold that business in 1972 to retire in the Okanagan, where I met a former friend in Kelowna, VE7CK (formerly VE6BY ), and with him went into the commercial two-way radio business. We set up a repeater network on five different mountain sites, and eventually bought out Alpine Radio Systems. In 1995 we sold the business to Tele-Clinic of Vernon – and I retired again to chase some more DX. 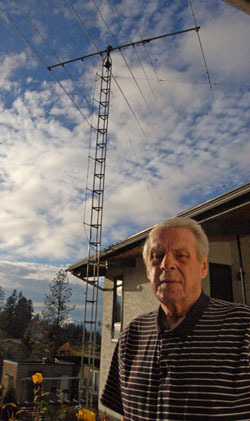 Have a lot of DX friends in BC such as Dale VE7SV, Ron VE7XR, Reg VE7IG and Jerry VE7NX. I hold 5BDXCC, WAZ #92 CW, WAZ #192 SSB, and am a member of Orca DXCC, the YASME DX Foundation, and the Northern California DX Club. My biggest thrill was working Danny Weil in 1960 on Clipperton Island. In fact, I was his first contact from there. Another great thrill was working Gus W4BPD from Bouvet Island at 3:30 in the morning on CW. “Them where the good old days” with the likes of Don Miller W9WNV, Dan Weil VP2VB /MM and Gus Browning W4BPD offering the rare DX. Now I am concentrating on 75M to improve my total (currently at 176 countries worked).